Casa Raphael is a renewed Grand Hotel “Belle Epoque”. It is surrounded by a beautiful park and by astonishing panoramas. Casa Raphael is a 4 * Palace Hotel with attached thermal center. It is located in an important building of historical-artistic value from the late '800 century, surrounded by a large park. It includes the hotel with 85 rooms, some with a terrace, a spa area, an indoor pool, a beauty center, a restaurant and several common areas. In the Fireplace Room there is a library at your disposal and you can take part in meetings organized by the house as, for example, the weekly appointment with the Chef. It is possible to rent the room for small courses, conferences or seminars. 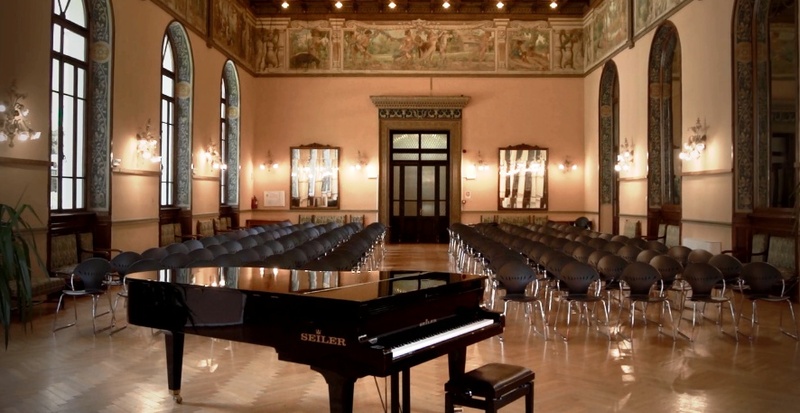 In the Ballroom, every Tuesday, you can attend one of the scheduled concerts. The inner courtyard of Casa Raphael, with its oleanders and its flower beds, transmits peace and tranquility. 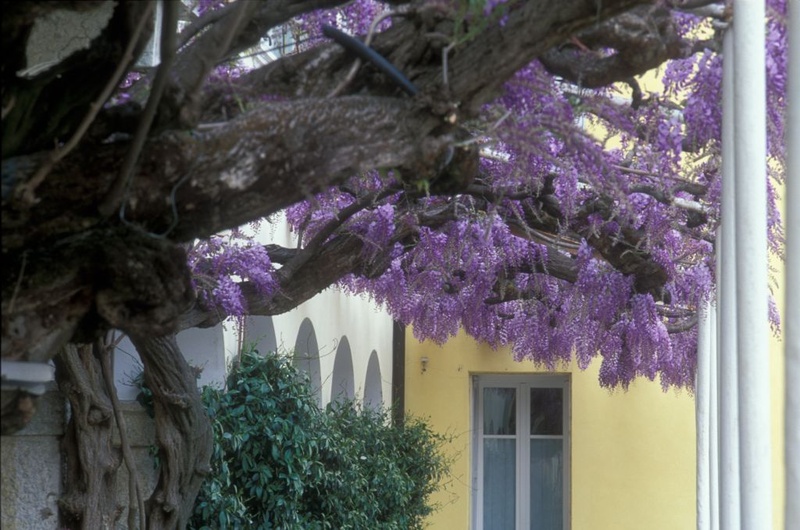 Towards the south side climbs up to the balconies a magnificent wisteria, with its flowers emanating a pleasant, mild scent. The structure is bordered by a garden with rose beds and a large park of over four hectares. Plants already considered exotic such as calocendro, sequoia and criptomeria alternate with more familiar species such as beech, horse chestnut, platano and lime. 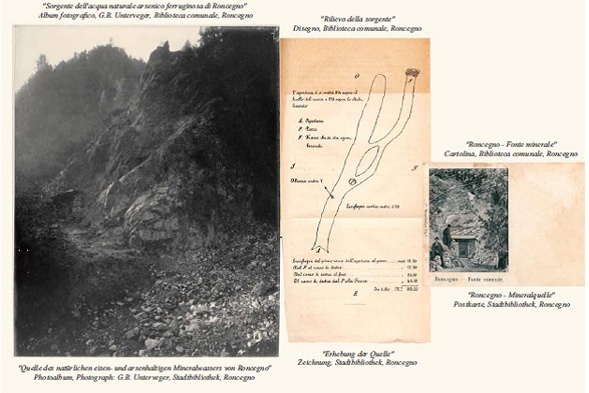 In 1804 a primitive bathing establishment was built in Vetriolo and, 50 years later during the golden age of thermalism, the first temple of thermal treatments was opened in both Levico and Roncegno -downstream localities with milder climates. 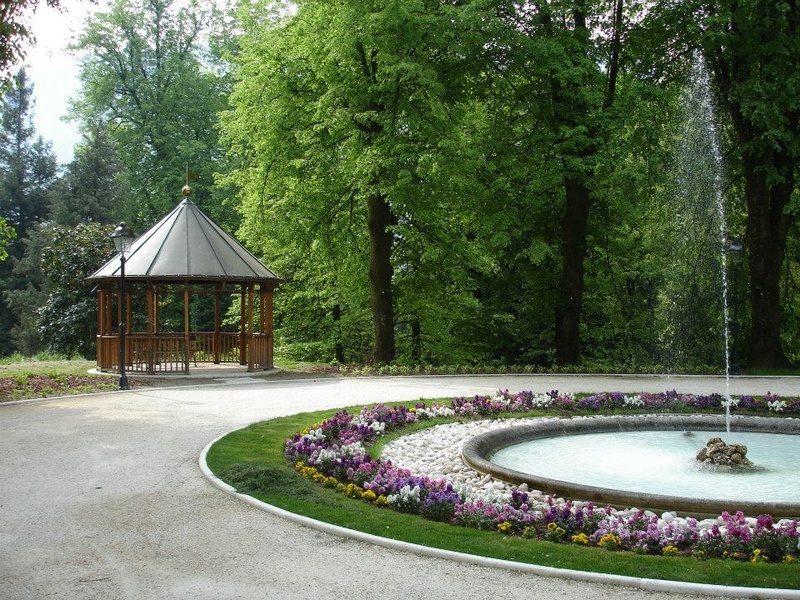 The spring of the arsenic - ferruginous water is located above the village of Vetriolo , in the middle of woods. Behind a heavy steel door embedded in the rock, starts a narrow tunnel through the old mine. Beads of water drip from the rock face and if you taste it, after dipping your finger in this liquid pouring down the walls, you’ll experience a metallic, acid, bitter and astringent flavour. A carpet of fine crystalline structures, needle-shaped and velvety, cover the rocks which are criss-crossed by numerous veins of multi-coloured ores. The air smells like sulphur and aromatic roots, a fine dust immediately settles on hair, skin and clothes, as if the spirits of the spring wish to greet their guests. 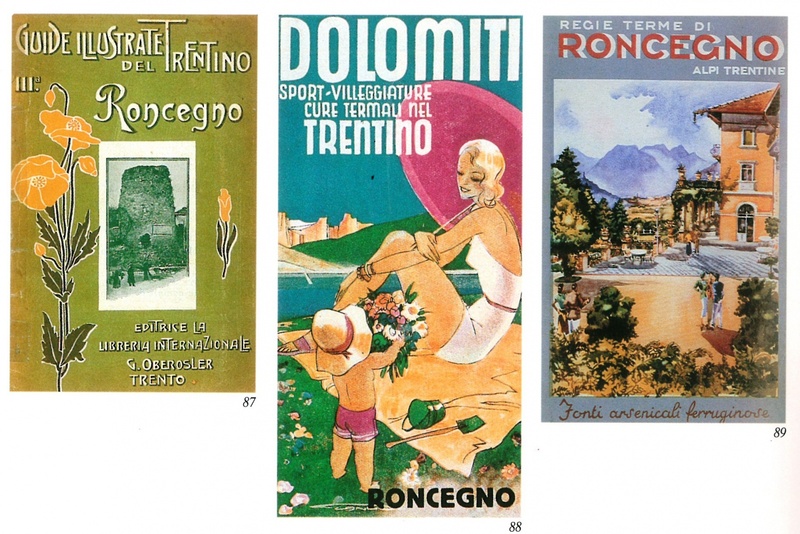 The first thermal center is established in Roncegno between 1859 and 1861. In 1875 the hotel was built, its capacity could hold 80 people and had a lounge bar, 32 first-class cabins, 4 second-class cabins, a large dining room on the first floor. 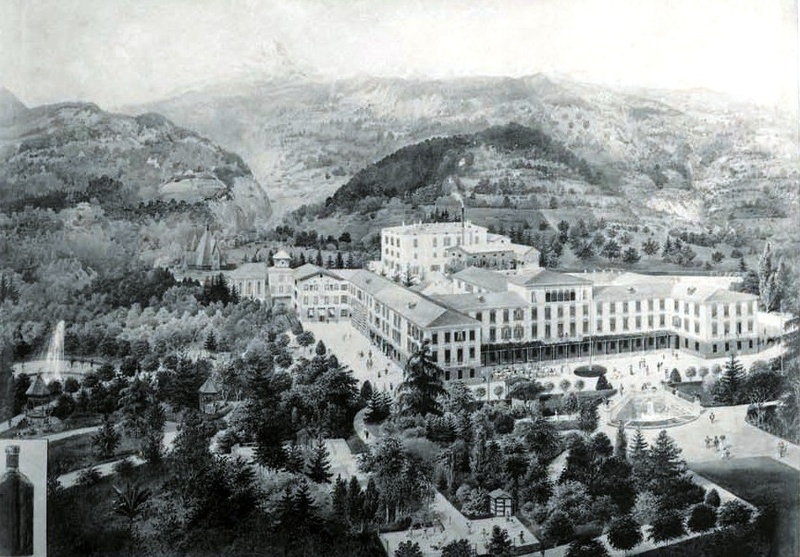 There is a setback in the years 1914-1919 and the hotel is occupied by Austrian, Italian and again Austrian troops. In 1921, after major redevelopment work, the inauguration took place on 10 July. In 1943 there was the occupation by the militaries: German navy, Gestapo, police of Trento and for a time also Hitler Jugend. 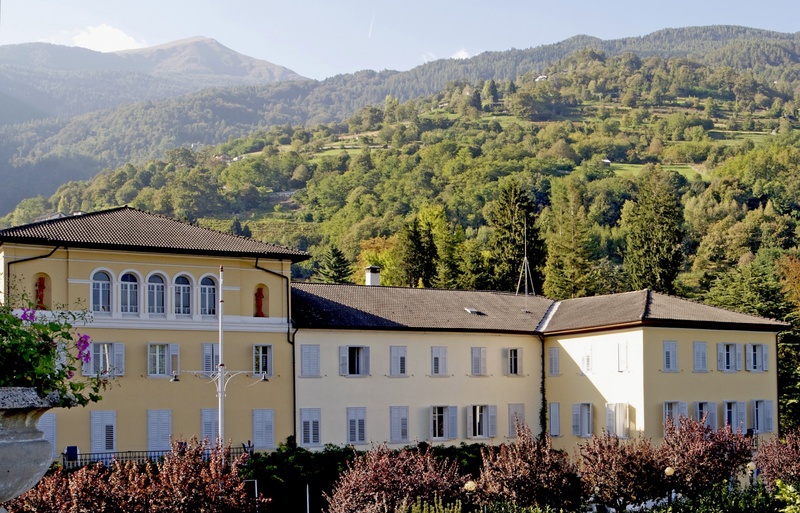 In 1952 the property was transferred from the State to the Region, to finally move to the Autonomous Province of Trento in 1972 up to the present day. In 1988 the old building was transformed into a modern and comfortable meeting place for body, soul and spirit: Casa Raphael.